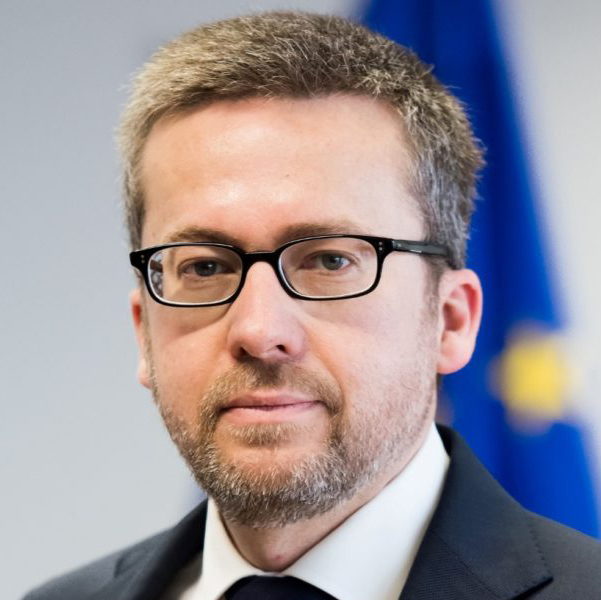 Carlos Moedas was born in Beja (Portugal) in 1970. He graduated in Civil Engineering from the Higher Technical Institute (IST) in 1993 and completed the final year of studies at the École Nationale des Ponts et Chaussées in Paris (France). He worked in engineering for the Suez-Lyonnaise des Eaux group in France until 1998. He obtained an MBA from Harvard Business School (USA) in 2000, after which he returned to Europe to work in mergers and acquisitions at investment bank Goldman Sachs in London (UK). He returned to Portugal in 2004 as Managing Director of Aguirre Newman and member of the Executive Board of Aguirre Newman in Spain. In 2008, he founded his own investment company, Crimson Investment management. In 2011, he’s elected for the National Parliament and was called for the government to Secretary of State to the Prime Minister of Portugal in charge of the Portuguese Adjustment Programme. In 2014, he became Member of the European Commission, as Commissioner in charge of Research, Science and Innovation.